Not the one with the title of this post, why crazy sound ? 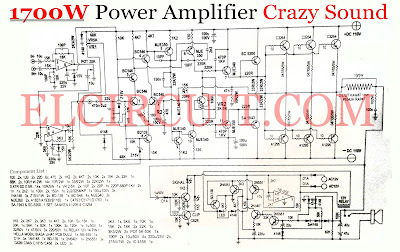 Because of circuit power amplfier is really crazy, sound is powerful. By having a power output of 1700W Mono at 8 Ohm load with power supply voltage of around 110VDC. 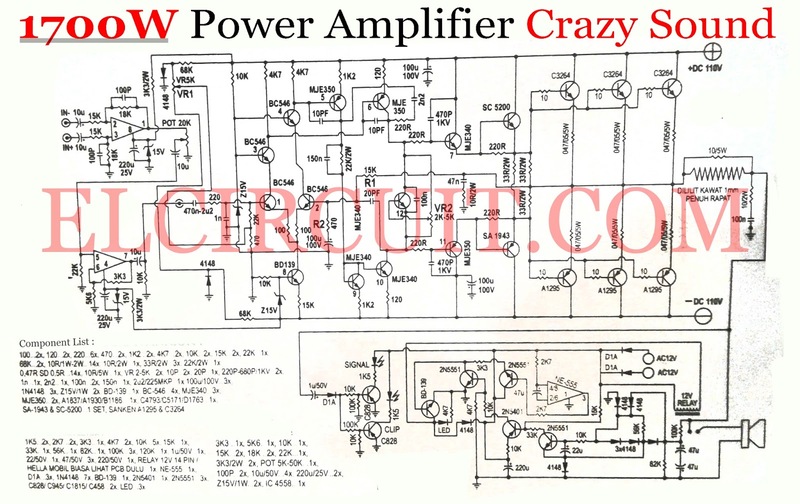 This power amplifier have featured Indicator clip and speaker protector circuit. Final transistor using Sanken C3264 and A1295. Bellow the circuit schematic and PCB Layout. For the initial setup, VR-2 at the position to the left of the VR-1 at the center position. Then the VR-1 setup. Avometer position in DC volts, Avo + to the speaker avo - to ground. Up to 0 Volt. After the VR-2, from a base Sanken SC (NPN) to the base of Sanken SA (PNP). avo + to base SC and avo - to base SA, max voltage should be 1 volt. Sir, just want to ask of all the power amplifier you have shared which one is the most very loud bass for outdoor? sir please explain vr1 and vr2 simple adjustments. i can't understand this pls help me. i already made it. ALLPCB.com provides various options of PCB board thickness from 0.4mm to 4.2mm. Customers can choose the corresponding thickness according to their own specifications and requirement to make a decision. Despite the large number of PCB manufacturers and PCB types or manufacturing methods, there are some internationally recognized standard PCB thicknesses. Generally, the standard PCB thickness will be 1.6mm, which is wildly used in diverse electronic products and equipments. 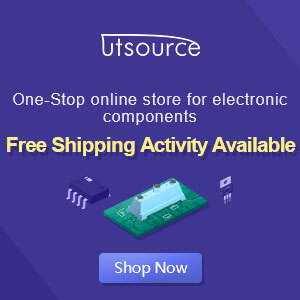 1.6mm thickness PCB board is enough to support the weight of integrated circuit, transistors and normal RC components, even though the dimension exceeds 500mm*500mm. http://www.lzzgchina.com/washing-plant/ provide the one step washing plants for the customers allover the world! Our washing plants for sale are capable of processing 30-400 tonnes/h of quarried sand and gravel feed materials to produce a variety of different standard aggregates and sand.